United Online Pure Dog Breeders in San Diego California are verified breeders of pure breed dogs. We have breeders all through out the state of California as well as many other states through out the entire United States. We have pure dog breeders of all kinds of dog breeds such as the Dachshund, Shih Tzu's, Poodles and American Pitt Bull Terrier Breeders. 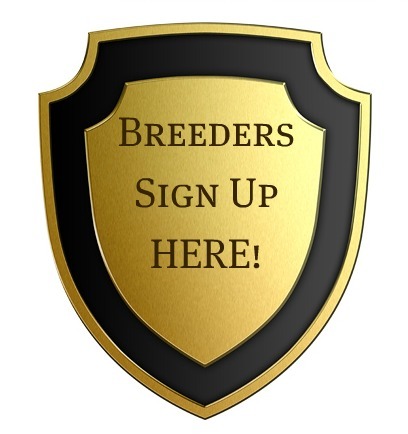 Feel free to check all the different cities that we have breeders registered in ten different cities in California. JDS “California Celtic" Jack Russell Terriers. We raise EJRTCA, UKC, and CKC registered "Shorty Jacks" and "Russell Terriers" We love sharing our life and our home with these little dogs. Our goal is to reproduce the perfect Pet. Genetic health, disposition, conformation and color are most important to us. Size and show ring ability are NOT our focus but are an added bonus! AKC REGISTERED. Breeding the Yorkshire Terrier and Biewer Terrier for a few years and breeding pure breeds is their passion. All their puppies are registered with the IBC, AKC or the CKC. They have beautiful standard colored Yorkies and Parti Yorkie, and Biewer Terrier puppies for sale at My Baby Yorkie Paws. One of the best places to buy dogs in California is to find San Diego Dog breeders. Buying a puppy directly from a dog breeder is much safer than getting it from a pet store. Take a look at some tips, on how to buy a dog in San Diego, California.The first question is where to find San Diego puppies. If you have a PC and Internet connection, you can search for San Diego dog breeders right from your home. Such places as Oodle marketplace provide good alternative to finding pups in pet stores. Just go on one of such web sites and type in the dog breed, you want. You can find dogs of any breed there. You can also search the price of puppies for sale. This way you obtain direct contact information of the dog breeders. If you are looking for a pedigree dog with pure blood and right papers, you should consider buying your puppy through a registered kennel club. If you land on American Kennel Club web site, you can find the search for clubs option and find local dog clubs in San Diego, California. Then you can search them by the breed of dog, you need. Getting a puppy through the kennel club would provide you with more guarantees on its pedigree and quality of breeding. You can obtain club recommendation on San Diego dog breeders from such clubs. Another option of finding San Diego puppies, is contacting your local dog shelters. You can get your puppy from there. Of course, there is no guarantee for the purity of blood in such dogs, but you can surely save a pets life and obtain a loyal, affectionate, loving companion for you and your family. If you are looking for rare dog breed puppies for sale in California to purchase, you have to be twice as careful, when selecting a breeder. Some of the rare breeds may not be available in your area or the breeders may provide doubtful documents for the pups. You might want to spend extra time and money going to the best breeder location and getting the best puppy you can. Before you go on your quest for any puppy in San Diego, make a list of things you want in it. Decide on the breed of the dog, on the qualities you are looking for in your pet to be. Settle on your purchase budget and your puppy care budget. Get all you need, for grooming, feeding and training your dog.